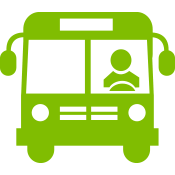 Passenger safety, comfort, and equipment reliability are core principles for bus operators. Keeping your buses well maintained along with exceptional service is a must for passenger satisfaction. Since 1979, Dossier has helped bus companies keep their equipment operating consistently and reliably, organize shops, and track maintenance with an unyielding focus to increase a fleet’s efficiency and profitability while also ensuring safe operation and regulatory compliance. Over the past 75 years at Hagey Coach and Tours, we have traveled across North America from big cities to rural country roads. In the last 10 years, Dossier has helped us to streamline tasks such as tracking tire and brake readings, mileage, licenses and permits, scheduling preventative maintenance and inputting repair orders. This has allowed us the flexibility to review information about any vehicle in our fleet at a moment’s notice. Dossier has also been a tremendous help in maintaining our parts inventory, driving accurate re-ordering and easy receipt and barcoding. These features help us accurately track our in-stock inventory and parts usage. The most recent enhancement to our fleet has been the addition of Dossier On-Board GPS tracking. This has enabled our company to automatically import mileage to the Dossier database. Trouble codes and alerts from vehicles are emailed to us and also automatically imported into the Dossier program. By providing us with continuous updates and a friendly, courteous staff, Dossier Systems has been and will continue to be an invaluable resource for our company. Dossier’s software has provided the El Paso Independent School District a vital & functional foundation for the auto shop. Dossier allows access to various reports and data which enables the auto shop management more time to concentrate on the shop floor. Staff performance can be measured by simply downloading reports such as PM Compliance and Technician Compliance, giving the supervisor and employees time and opportunity to work on areas needing improvement prior to evaluations. The transportation department has a fleet of over 750 vehicles and Dossier allows us to manage more efficiently. Safety and customer service is imperative in any auto shop. Therefore, being able to forecast any work pending eliminates vehicle down time. Our parts department utilizes the Parts Section tab on Dossier to manage three auto parts warehouses from one location without any problems. Our auto parts specialists keep track of inventory with Dossier which allows them to keep a history of prior inventory usage that is pertinent for future expenditure decisions. Our auto shop has advanced technically thanks to our coalition with Dossier software and Dossier’s great technical support team. Over the past year Luzerne County Transportation Authority has traveled over 2.5 million miles with our fleet of fixed route and shared ride vehicles. We currently have an inventory of 100 vehicles in our fleet. Dossier has helped us to streamline tasks such as mileage tracking, preventive maintenance scheduling, warranty work and inputting repair orders. We are very impressed with the vast reporting tools that Dossier offers. This system has improved the efficiency of the maintenance office by the reduction of paper work, and as a result, provided more space through the elimination of filing cabinets. We are currently in the process of implementing the Dossier parts system for better tracking of our inventory and ordering process. Dossier fleet maintenance software not only allows us instant access to any of our vehicles preventative maintenance information, past repairs or vehicle unit information, it also allows us to comprehensively maintain a large fleet of vehicles in multiple locations. The customer module also allows us to store all customer information such as, labor and parts rate per customer, vehicle information and preventative maintenance schedules. This module lets us transfer a quote to an invoice very easily. Inventory management also has been a key factor assisting with the decrease in overall stocked inventory and obsolete inventory no longer needed. We have been able to decrease vehicle downtime, and breakdowns between PM services, and track mechanic productivity hours on a daily basis. Dossier has been a key factor in the overall success of our maintenance operations that is held in high regards with the California Highway Patrol and Arizona Highway Patrol. A lot has happened in our industry since this 1947 GMC Silverside, owned South West Transit, saw regular service on our highways. We’ve seen technology that has taken us from electrical bus bars to multiplexing systems, incandescent light bulbs to fiber optics and Light Emitting Diodes. As much as times change, one thing hasn’t, the importance tracking maintenance activities and our Dossier software is a welcome alternative to the rows of file cabinets and stacks of work orders of yesteryear.